The expectation of having the perfect dream wedding day can sometimes pile the pressure on the planning process. To help you spread the fun and excitement of the wedding day across to all the preparation, below are ideas to help you out. Planning a huge party for nigh on 100 guests is something that most of us have never had to do in all our lives! To make sure the high of your engagement isn’t eclipsed by the feeling of impending doom (as you somehow add more to your wedding to-do list than tick off), I've collated tips from brides who've already been through it all. The tips below are to help you take the pressure of the single day itself and instead, see the wedding prep as an extension of the day and a celebration of you both as a couple. Making the build up to your wedding a fun experience, will mean that all the angst to have the perfect day will fall away because you’ve had a ball even planning the party. If you can take simple steps to enjoy planning your wedding then it will take the pressure off the actual day itself, and don’t we all love it when the pressure is off! I’ve heard from so many brides and grooms that their wedding day flew past in a whirlwind. It makes sense to extend the happiness and joy of your wedding day into the months beforehand, when you’re planning and choosing how you'd like your day to be. Trust yourself and stick to the decisions you’ve made. Making a decision and moving on to the next task will keep your life simple. Choosing a wedding day that represents the way the both of you are as a couple is a great focus to have. The influence of weddings you’ve been to or ideas about what you think you ‘should’ have add a lot more complication to the decision making. Meghan, who married Chris in July 2017, gave me her advice on the ways they made decisions: “I stopped thinking what everyone else would like and started focusing on what Chris and I liked. I think people stress it’s got to look a certain way but once you focus on you then it becomes fun.” Meghan and Chris’s wedding was an amazing day that represented the pair of them perfectly. Meghan walked down the aisle to the Jurassic Park them tune, Chris drove the two of them from the church in a red Jag and they had mini metallic dinosaurs decorating all their tables. Make your bookings as soon as you can. Once you’ve both decided on all the wedding suppliers you’d love to have, book them in. When the dates are secured and deposits are paid then you know the main framework of your wedding is in place and it’s time to add the finishing touches! Lots of couples I work with give themselves a budget and time frame to have all the main elements of their wedding booked in. Depending on you and your day, these core bookings will vary slightly but most start with their venue, cake, catering, flowers and photographer and then work from there. Talk through the most important parts of your day together and then start researching the people who can create the look and feel you’d love to go for. If you're in need of finding a particular wedding supplier, you can read about the suppliers who I worked with on an Autumnal Wedding photoshoot here. You can also find the suppliers I worked with to create an Outdoor Festival Style wedding here. All the suppliers are listed at the bottom of each blog post and are linked to their websites. Make an event of it. Keep the morning of your wedding free (except for pampering). As a wedding florist I always see my brides on the morning of their wedding when I drop off their bridal bouquet. I love seeing them in full on pamper mode: hair in rollers, makeup being applied and the all important bottle of champagne on the go. There’s always a sense of excitement in the air that’s electric. That’s why I know it’s so important that as a bride, you don’t leave yourself any jobs to do on the morning of your wedding. This is the time to take in all your hard work and appreciate everyone around you who’s helped you and supported you. As I mentioned at the start, the day will fly by so make sure there’s no last minute table laying or venue decorating. There you have it, some of the ways you can make planning your wedding more fun and enjoyable. In the end, the reason behind all your planning and hard work is to fill your wedding day with the beaming faces of your family and friends, marry the love of your life, eat delicious food until your heart’s content, listen to speeches in laid back happiness and conquer the dance floor with your best friends. To help take the stress off planning your wedding day, here are the ideas to follow to keep it fun: Trust your decision making, book the core parts of your wedding as soon as you can, spend time with your family and friends and get them to help, and keep your wedding morning free and pamper-full! 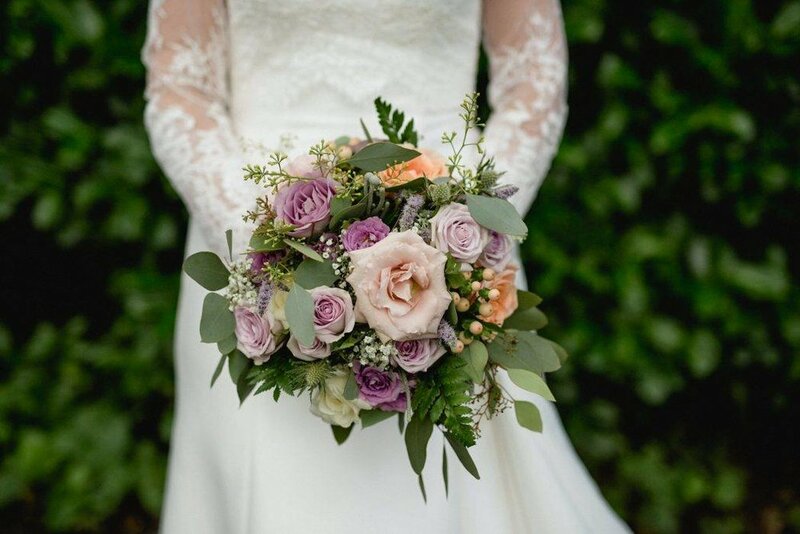 If you'd like more advice on planning your wedding and flower inspiration, I send out Flower Post on Sundays. You can sign up to receive these emails here. You'll also receive a free guide to cut flowers as a big thank you for signing up. Off to a wedding fair soon? To help you navigate your way around the next wedding fair you visit, I’ve written a guide to help you through the day. Learn how to get the most from a wedding fair here.